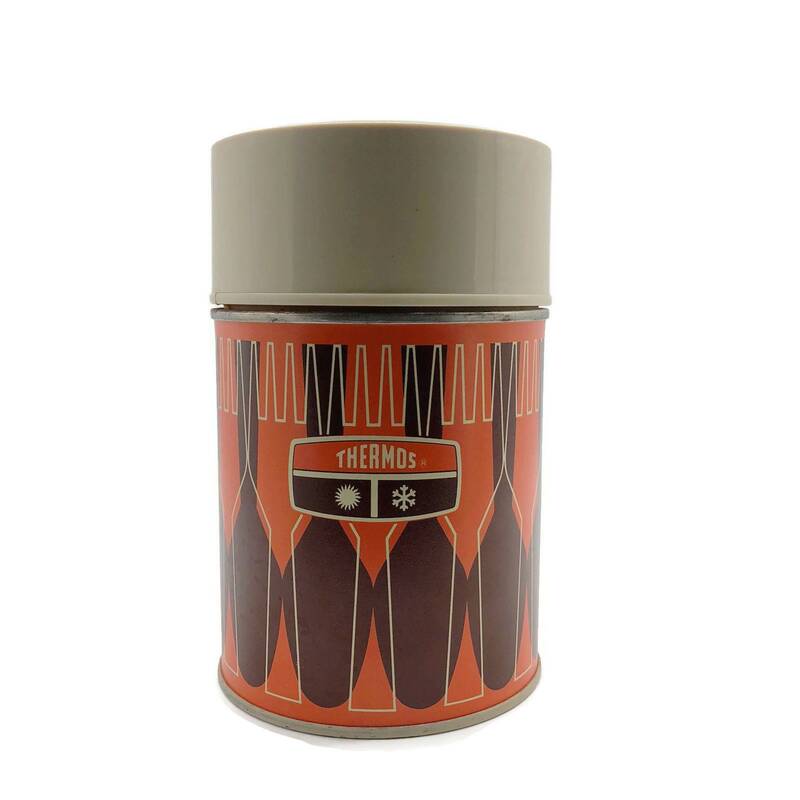 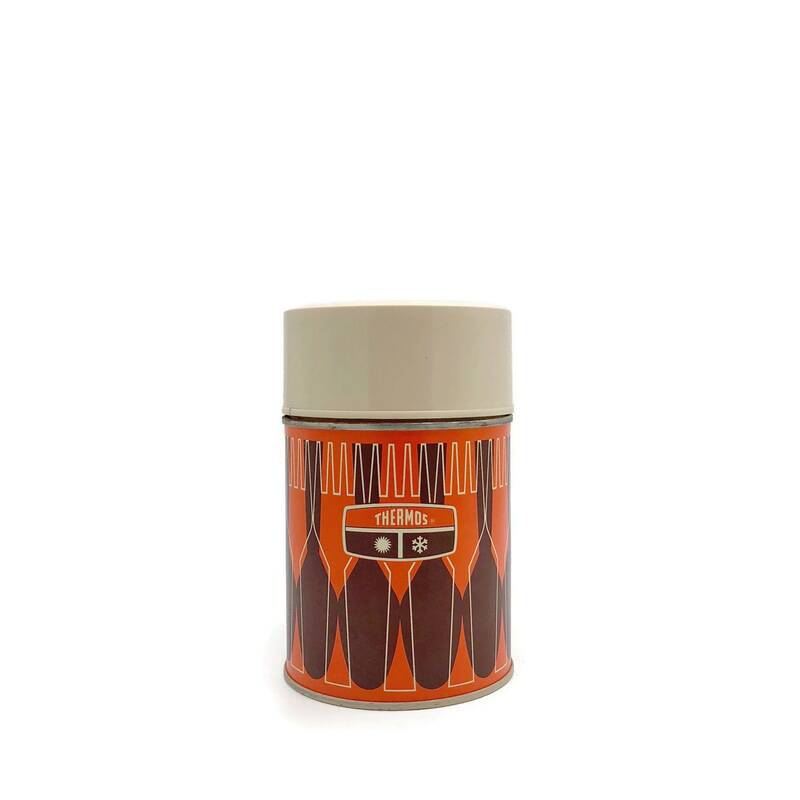 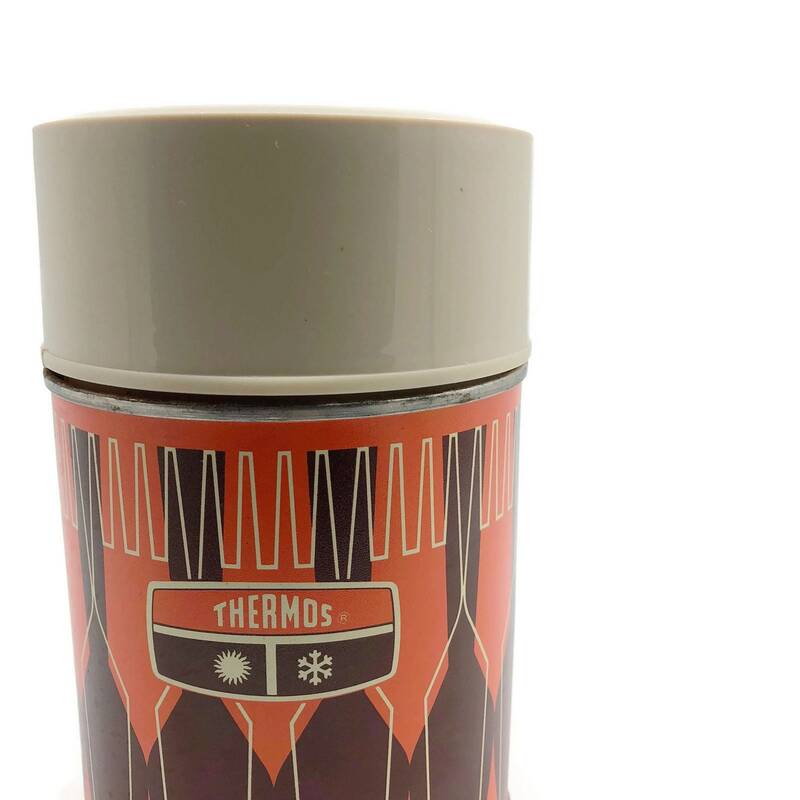 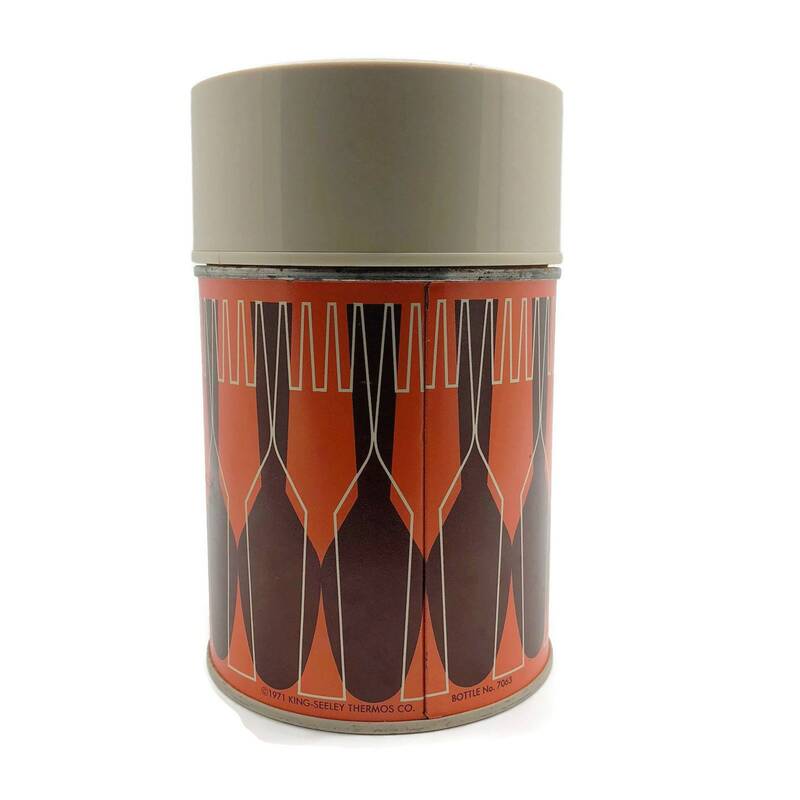 Vintage Thermos with a funky orange and brown retro design. 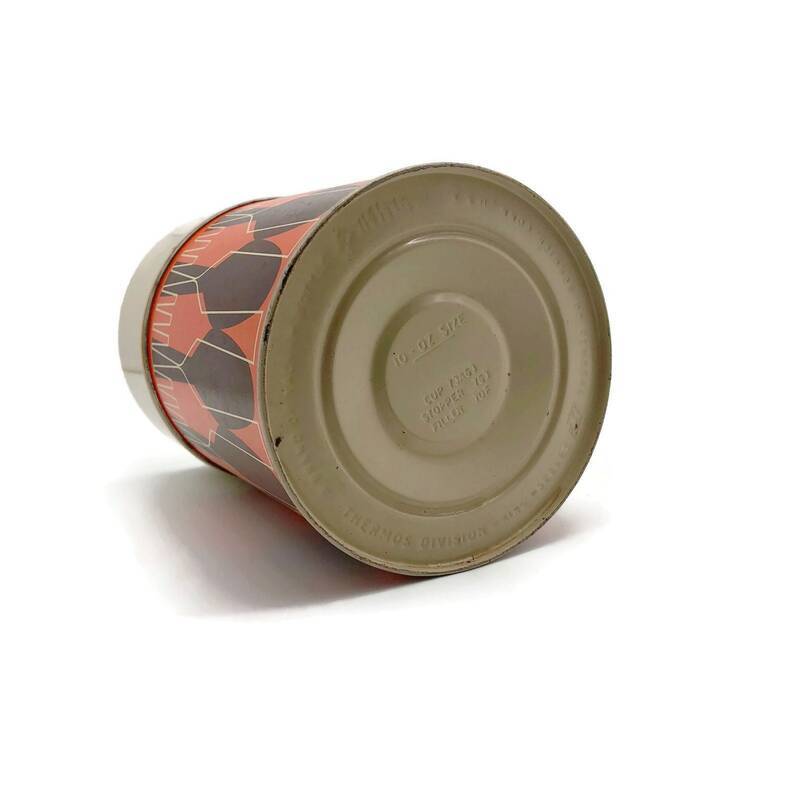 Marked 1971 with some minor rust on the bottom but is still in usable condition. 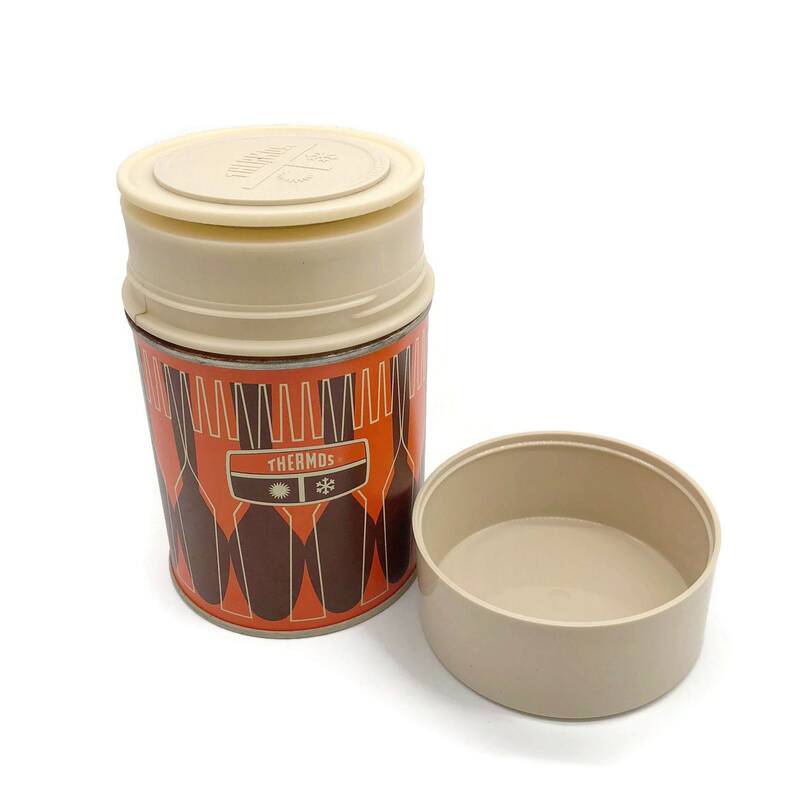 Holds 10 oz.